Back in July this year, Google put forward its plan to train around 2 million developers in India with the aim to help spur innovation and support the growth of India’s start-up ecosystem. 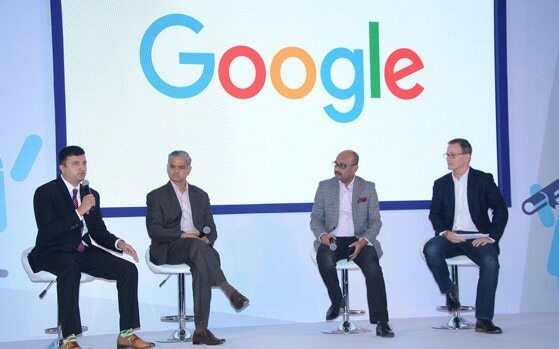 In line with the same initiative, Google India on Thursday announces a new scholarship program in partnership with Pluralsight and Udacity to train nearly 130 thousand developers and students and build a highly skilled tech workforce in India. Under the new scholarship program, Google plans to help developers improve their learning on the emerging technologies like Mobile and Web development, Machine Learning, AR/VR, Artificial Intelligence, and Cloud Platforms. Under this new scholarship program, Google is looking forward to provide around 100 thousand scholarships on the Pluralsight technology learning platform and about 30 thousand scholarships on Udacity. With this, the company is basically looking forward to help developers gain access to advanced learning curriculum. In partnering with Udacity Google is offering 30 thousand scholarships, and out of which it is going to chose the top 1000 developers who will receive full Nanodegree scholarships. Commenting on the partnership with Google, Ishan Gupta, Managing Director of Udacity India said, “Our collaboration with Google is a major step towards democratizing education in India and prepare youth for Jobs of today and tomorrow.” He believes that with this initiative both Udacity and Google will manage to master developers and students from India in concept of and mobile development. “The Scholarship program would have two phases. The first phase would have free access to our courses in mobile and web development along with mentorship and community support. The top 1000 students earn an additional 6-month scholarship to our Mobile and Web Developer Nanodegree programs, which includes mentorship, community support, and expert project reviews,” Ishan notes. On the other hand, Pluralsight reportedly already supports learners from over 150 countries, and with this new scholarship program Pluralsight is trying to skill the Indian developers as well. Commenting on the partnership, Arun Rajamani Country Head & General Manager of Pluralsight said, “We are thrilled to partner with Google to help developers across India understand their skill level using Pluralsight IQ and advance their skill sets in four key roles: Android Developer, Mobile Web Specialist, Cloud Architect, and Data Engineer.” He believes that this scholarship program will help developers from India to future-proof their technical skills.